We are professional solar PV installers for both private and commercial customers throughout Devon, Cornwall, Somerset and Dorset. We cover major towns and cities such as Exeter, Torquay, Plymouth, Truro, Taunton and beyond! If you require a quotation or advice please give us a call. Solar panel electricity systems are also referred to as solar photovoltaics (PV) which capture the sun’s energy using photovoltaic cells. These cells do not require intense sunlight to work because they can still generate some electricity on a cloudy day. The cells convert the sunlight into electricity which can be used to run household appliances, lighting and contribute to the grid saving and making you money. 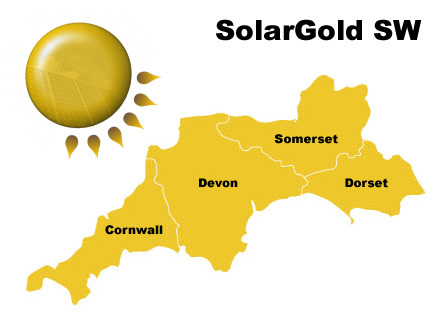 Devon solar panel installers for renewable energy solutions.